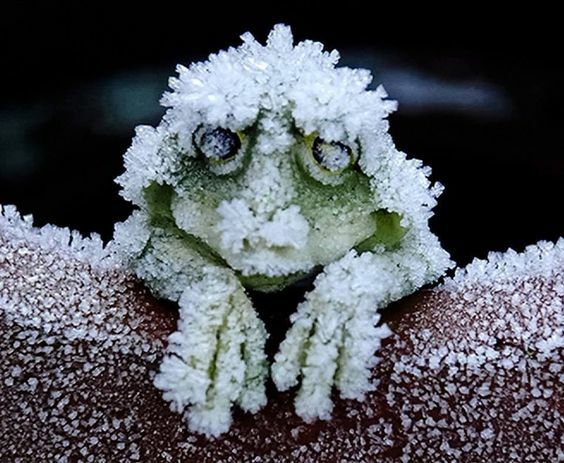 During the cold winters, the Wood Frog becomes a frog-shaped block of ice. It stops breathing, and its heart stops beating. When Spring arrives the frog thaws and returns to normal going along its merry way.